Some people love the underground stuff. Well, nowadays probably a lot of people, right? Those cool places, with unique features. Places frequented by people who did it differently, experimenting, going a bit crazy and wild with new ideas. Well, Incógnito has been one of the reference points for Lisbon’s underground night life. Its music life, in fact. 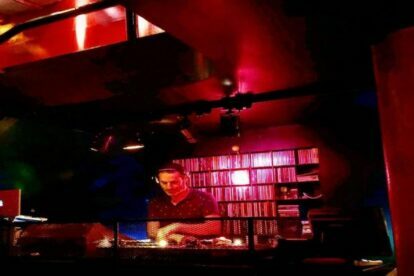 Incógnito has been one of the most foundational clubs for all that is the realm of alternative, electronic, indie, synth pop and so on, for 30 years now! As a teenager it was impossible for me to even consider trying to go there. But with the passing of years, I have now had the pleasure to enjoy my exploration of fantastic music in this iconic space. In fact, the space itself is very fitting, for it is, literally, underground! The beautiful part is that many of the stone walls and columns were kept with the original architecture, giving an added flair to the whole experience. Be sure to be polite with the bouncer — they wish for the best environment inside and will not tolerate inappropriate behaviours. Smile in and enjoy the music!